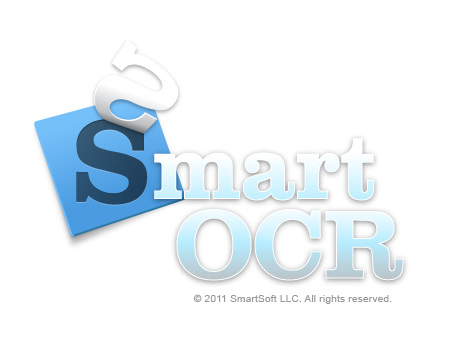 Smart OCR is an Optical Character Recognition (OCR) application that converts scanned paper documents, PDF documents, images and digital photos into editable documents. The new SmartOCR™ technology has an increased recognition accuracy of over 99.8%. With Smart OCR you can even recognize fax documents, poor quality scanned images or screen shots. 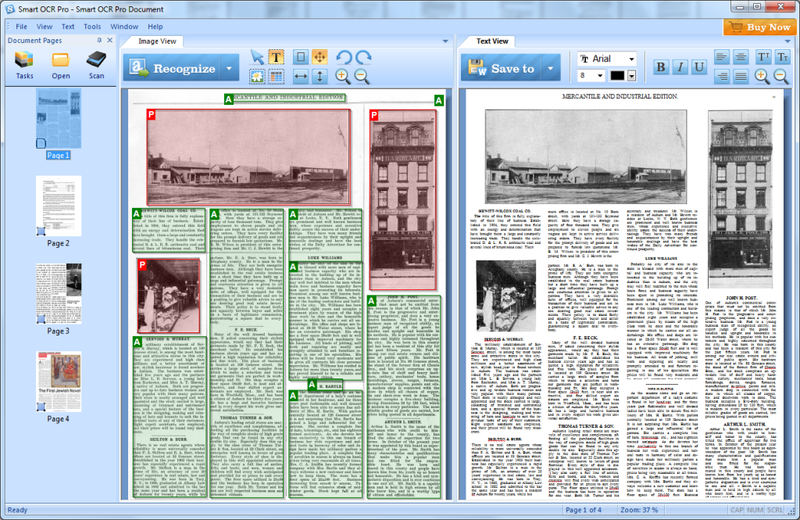 Smart OCR recognizes the original document's formatting and keeps it in the final file layout. You don't need to convert the final result. Smart OCR directly produces PDF, DOC, RTF or HTML files. Whether you have a scanner attached to your computer or a digital camera, or you have received a scanned PDF file from a colleague, or you have an image file stored on your computer, it's equally easy for Smart OCR to process it. Save a lot of time using batch OCR mode. Just feed all your scanned documents into the application and it will process them automatically without supervision. Smart OCR provides numerous predefined Quick Tasks that allow you to quickly convert your scanned paper documents, PDF documents, images or digital photos into editable output documents. Your scanned image or digital photo can be in any of the popular image file formats and Smart OCR will handle it. BMP, PNG, JPEG, TIFF, GIFF and more are supported. The built-in text editor of Smart OCR helps you make changes to the document before saving it in electronic format. Recognize only specified areas in an input image. You might need to leave some text areas unprocessed, or adjust the image and text regions as recognized by the software. Manual mode gives you increased control. The intuitive and highly customizable interface of Smart OCR guarantees ease of use for all users. Performing OCR tasks has never been so easy.